Prominent & Leading Manufacturer from Mumbai, we offer faisal shine pre painted coil, frs aluminium coil and faisal shine ppgl galvalume coil. Since our inception, we are instrumental in offering premium quality FAISAL SHINE Pre Painted Coil. Our skilled professionals manufacture these sheets according to our customers’ demands in various sizes, shapes and designs. We manufacture these sheets by using premium quality raw material and modern technology in sync with industry norms. 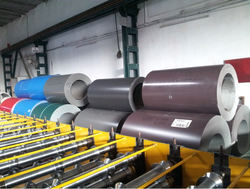 Moreover, provided sheets are tested against various parameters in order to ensure their quality. 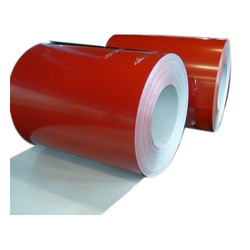 FRS Aluminium Coil has insulation material is very versatile in nature when it comes to use in household or industrial applications, it an be applied over roofs, ceiling, attics and crawl space, underground walls, metal structure, steel wall concrete walls and floors and warm ducts. 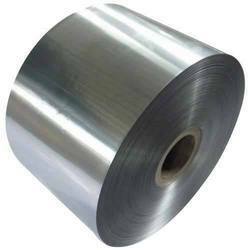 Double bubble thermal insulation material is actually a two layered polyethylene air bubble film laminated between 99% of pure aluminium material.